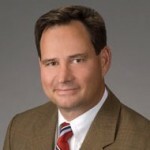 Allen Buckley previously was a partner in two large law firms in Atlanta, Georgia, where he did almost exclusively employee benefits work. (The firms were Troutman Sanders LLP and Smith Moore Leatherwood LLP.) Much of the work performed dealt with pension and deferred compensation matters. Thus, Mr. Buckley has done a lot of work with various types of retirement plans, including traditional defined benefit pension plans, 401(k) plans, ESOPs and cash balance plans. Some of the work performed involves fixing operational defects. Mr. Buckley has dealt with virtually all types of deferred compensation plans and arrangements, including the tax-qualified plans described above and nonqualified plans. Accordingly, he has done a lot of work with Internal Revenue Code section 409A. He works with and drafts/designs split-dollar life insurance arrangements. The interaction between the split-dollar regulations, section 409A and section 457(f) is somewhat complex, to say the least. Allen Buckley also advises clients with respect to welfare benefit plan matters, including cafeteria plan matters and COBRA matters.